Culturetopia: Many Movies Edition This week's arts roundup brings you to some of the Oscar-friendly films out these days, from a Marilyn Monroe biopic to a silent film that's already gathering awards. All this, plus a visit with the Muppets. Since so many Oscar pictures are coming out, we've put together all-movie edition of NPR's weekly podcast of the best arts stories. They include a behind-the-scenes look at a behind-the-scenes movie, My Week With Marilyn, and a trip to a landmark of Hollywood silent film with the director of the audacious new one. The Artist is the silent, black-and-white movie just awarded best picture from the New York Film Critics Circle. Foreign correspondent Jason Beaubian filed a piece about Mexico's Oscar entry for best foreign language film. Miss Bala is about a beauty queen caught up in the dangerous world of drug cartels. Meanwhile, Susan Stamberg visits the set of the new Muppet movie, and ATC critic Bob Mondello previews some forthcoming holiday treats from Hollywood. 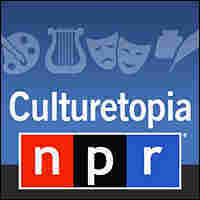 Subscribe to Culturetopia right here or listen below.